I'm finally home for a few days before I head off to the Cape this week for a company offsite. 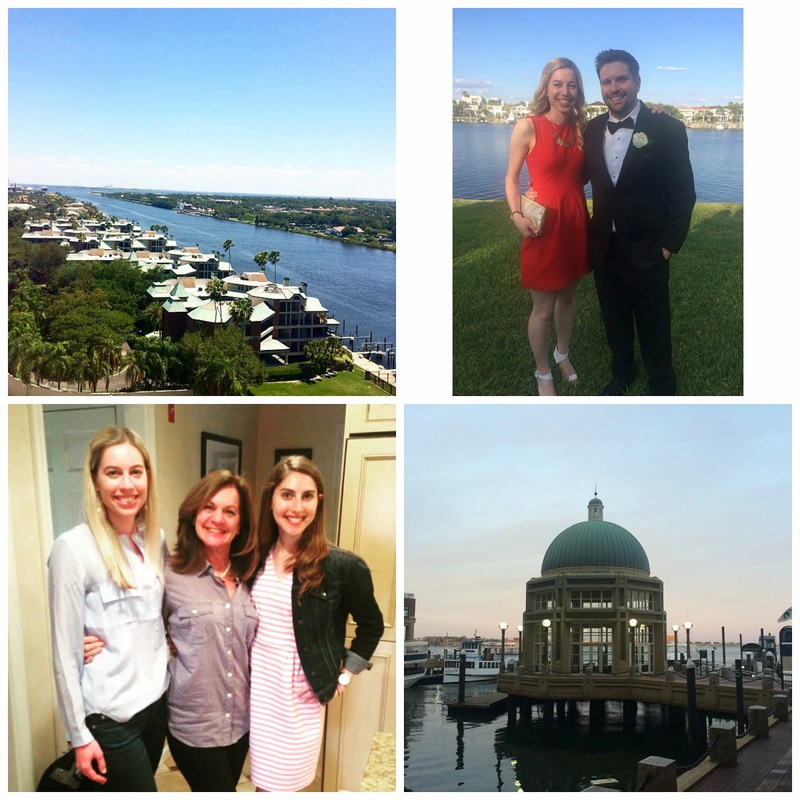 It's been a whirlwind few weeks with two trips to NYC, a trip to Florida for our friends' wedding and some vacation time and back to Boston for Mother's Day weekend. As you can see I went with the red Madewell dress with the gold Madewell necklace for the wedding in Florida -- very happy with my choice! The weather was absolutely perfect so any dress would've worked but I thought the bright pop of color looked great in pictures. Now that it turned to summer overnight in Boston I have some warm weather items on my wish list -- like easy dresses for work and casual and workout shorts, as well as some new makeup, of course!